The convenience of Mobile Devices makes it all that much easier to shop and spend online. Why even bother getting out of bed when starting your shopping excursion this year and just snag all of the great deals on the Internet. All you need to do is just tap a few buttons and that’s all what’s required while using your trusty handheld mobile device. The purchase which you just made at significant savings is even being delivered directly to your doorstep. According to a nationwide survey, 57% percent of all smartphone owners along with 73% percent of tablet owners are planning to make use of their devices to go online and shop this year. This can be a combination of researching products or reading reviews, redeeming coupons or rebates, or making actual purchases. But it’s also important to keep in mind and be aware that online purchases opens the door to online thieves, making it a lot easier than ever before. 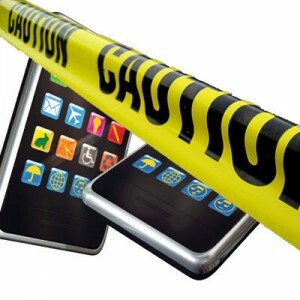 Mobile devices are the main targets this year because of their questionable security. There has been recent alarming reports that Android OS malware infections has surged upwards by nearly 375% percent since July. Using actual numbers, malware and viruses attacks around 5% percent of all Android users. That figure however shouldn’t mean that you let your guard down, as the online “bad-guys” are hoping that you do. For instance, if you’re not that tech savvy, using your mobile device while online shopping this year can equate to you having a handful of money in your hands in a bad part of town while you’re blindfolded. They’re waiting for you. So whats compiled is a list of tips to ensure safe online mobile shopping. By following these steps, it should reduce the chances of anyone unsavory stealing your personal data which is stored on your mobile device. Public Wi-Fi networks while extremely convenient aren’t usually encrypted, which means that anyone nearby can eavesdrop on what you’re sending via your mobile. And this means absolutely anyone! All that a hacker who’s up to no good requires is a packet-sniffer, which are usually free to download. What they’re capable of doing is they’ll capture packets of data across any unsecured wireless Wi-Fi network. So it’s best to avoid looking at anything or accessing your private data on your mobile device while on a public Wi-Fi. This would be similar to you being careful with your private data when there’s someone next to you at the mall food fair, and there’s a potential they might see your information. There’s now an abundance as well as a variety of mobile payment apps for mobiles which are available. But before you decide to download any of them, make sure that you read the reviews and check out their ratings while also searching online for any claims of users being scammed etc. If ever in doubt, just use the apps which are provided by your bank, your credit card company, or established online retailers such as Amazon or Apple. The majority of the malware for mobiles comes from downloading these legitimate looking online payment apps from the various third-party app stores. This particularly for the Android devices. It’s never a good idea and not recommended, so don’t get tempted and take those cheaper shortcuts. When you’re downloading any app, ensure that you’re doing so from a legitimate app store such as Google’s Android Market, Apple’s App Store or Amazon’s Appstore for the Android. These are all the authorized official stores which uses secure processes to weed out any malicious apps. Amazon as well as Apple will do theirs pre-emptively, while Google does theirs retroactively. If any website asks for your personal data or credit card information, always check to make sure that the address on the website begin with “https,” which refers to it having SSL or (secure sockets layer). The additional “s” signifies that the site uses encryption protocol. On unsecured networks, if just the “http://” appears before the domain name, that allows a hacker to easily intercept and then steal personal data such as user-ids and passwords, or credit card numbers. Just like on your PC at home, make sure that your extremely selective when deciding whether to click on any links within the emails that you receive. This includes social networking sites as well as SMS texts asking for your personal data. There are a few excellent mobile security products on the market, such as Trend Micro Mobile for Android devices, Lookout Premium, Webroot Mobile for the Android. They will all effectively scan your links for any potential phishing attempts along with malware attacks.